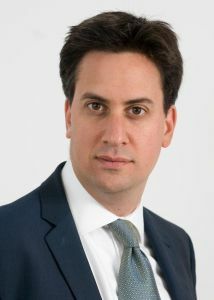 Below is the text of the speech made by Ed Miliband, the Leader of the Opposition, to the 2011 Progress Conference. Friends, let me tell you today how we are going to win the next election. Three moments in the history of our Party when hope defeated fear. To do that we need to be honest about where we are as a Party, and how tough this is going to be. Frank about our successes and failures at the recent elections. Clear about the condition of Britain, and what needs to change. We need to reject some of the easy answers that people will tell you are out there. Instead we should start to explain what our national mission for the country should be. And how it contrasts with the narrow pessimism of the Conservatives. Let’s talk about what we heard on the doorstep at the elections. Some people are still unwilling to come back to us. We all know what their concerns are: from immigration to bankers to welfare to waste. But other people, who couldn’t look us in the eye last year, are now willing to listen again. They agree with us that the government is going too far and too fast on the deficit. They wanted a voice in tough times. And we were that voice. But from everybody I met, I heard something else. People wanted more from us. People wanted more from our politics. And we saw that in our election results on May 5th. We have started to win back trust. But we have many more people to convince. The progress we made in the East and West Midlands, where we had some of our worst general election results, matters. But of course we need to do better in the South. It is essential that we won back the Liberal Democrat voters we did. They felt betrayed by their leadership. And recognised we had the courage to change on difficult issues like Iraq and civil liberties. But Conservative voters do not yet feel the same depth of betrayal with this government or yet sufficient confidence in us. That’s the reality of the results. And friends, let’s avoid the old Labour disease of setting out a false choice. That we must either conclude that the elections were a triumph or a disaster. We made progress in these elections. But people want more from us. That we need only ex-Lib Dems or only ex-Conservatives. So let’s leave the false choices where they belong. What about our results in Scotland? I don’t need to tell you they were terrible. On the living wage, on jobs, on the NHS, we had good pledges. But the lesson of Scotland is this. Our opponents won a bigger battle. Because we did not succeed in providing a clear vision of Scotland’s future: a national mission. And let’s be honest about the last general election too. Our message, too weighted to fear over hope, stopped the Tories getting a majority. But it was never enough for Labour to win. Because we did not own the future. Indeed none of the parties met the standard that voters deserved. David Cameron won on what you might call the away goals rule of politics. And we must recognise the reason the Conservatives failed to win a majority was did not inspire. They failed a national mission for our country. All David Cameron was offering then, and all he is offering now, is a shrivelled, pessimistic, austere view of the future. Now I have absolutely no doubt that reducing the deficit is vital for our future. But the real difference between us is this. He plans to cut the deficit and see what is left of Britain at the end. Instead we should start with our vision for the country and cut the deficit in a way which supports it. Even Michael Ashcroft recognises this. That’s why I say people want more from us. Why people want more from our politics. What kind of country will we leave to our sons and daughters? How am I going to make ends meet when my living standards are being squeezed? Why do I always seem to work longer and longer hours for the same money? Where are the Tories on the big questions people are asking. And they have nothing to say. I say politics can be better than this. Our country can be better than this. How do we answer peoples yearning for something more from us, for something more from our politics? We need the honesty to admit that the challenges facing Britain did not begin with this government. Although they are making them worse. They are deeper than that. People see a new inequality that our country faces between those at the top and everyone else. We should have the humility to acknowledge this was there under Labour. But also warn that this Government is making it worse. People worry about the erosion of what I call the promise of Britain – the expectation that next generation will do better than the last, whatever their birth or background. This concern is part of a deeper long term trend. But again, this government is making matters worse. And while people struggle to make ends meet and worry about their children, they feel what really matters – family, friends and the quality of community life – is being put under strain. Again, it did not just start with this government. But they are making matters worse. For me these three issues, the new inequality, the promise of Britain, strengthened communities, are the challenges to which the next Labour government must be the answer. Given the scale of these challenges. The desire for more from our politics. It will never be enough for us to simply take the traditional paths of oppositions. There will be those who say it is enough for Labour to hunker down and benefit from an unpopular government. I hear it quite a lot: let’s be a louder, prouder Opposition. Maybe somehow people will then remember what a good government we were and re-elect us next time. The Conservative Government is unpopular. They may become more so. And we are showing, and will continue to show, that we can be an effective opposition. But to think that is enough is to fail to understand the depth of the loss of trust in us and the scale of change required to win it back. We must recognise where we didn’t get things right. And we must show that a changed Labour Party can again be trusted. It’s not about dumping on our past, because I am proud of our record in government. But it is about being honest about what we got right and what we got wrong. The cardinal mistake of Opposition is to conclude that it’s the voters, not us, that got it wrong. It was a mistake we made in the 1980s. We cannot afford to make it again. Then there is a second strategy – a Cameron style detoxification. I hear the advice to follow this path: find the equivalent of hug a hoodie. That will get us back into power. Now we must be honest about mistakes that lost us trust, on issues like immigration, welfare, or banking. I have done that in the past months. And I will continue to do that. Because the public will not return to us until we show we get it. But restoring trust cannot simply be an exercise in dealing with the negatives. These issues matter in themselves. And we must address them. But in a way true to our values. Rooted in our understanding of the condition of Britain. The challenges our national mission must address. Start with the new inequality. Inequality is no longer an issue just between rich and poor. But between those at the top and those both in the middle and on lower incomes. Since 2003, those at the top have seen their living standards continue to rise at extraordinary rates, while those of the rest have stagnated. For most flat wages, rising prices, longer working hours, and the burden of debt and insecurity increasingly being placed on them and their kids. This is about the middle income people in the South of England and elsewhere who don’t consider themselves rich even though they may be higher rate taxpayers. Like the mother I met in Gravesham during the election campaign, worried about the loss of child benefit who said she would never vote Conservative again. It is about the squeeze not just on living standards but on time. People working fifty, sixty, seventy hours a week and not having enough time with their children. Frankly, I don’t need to meet other people to know how that feels and know we have to change it. And it is through this squeeze on the middle, this new inequality that we need to understand issues like immigration and responsibility. Eastern European immigration did place downward pressure on wages. People can argue about the extent. We were too relaxed about that. People felt particularly angry about those they felt could work, but didn’t, as making ends meet became more and more of a struggle. We were too relaxed about that too. And people saw those at the top making off with millions they didn’t deserve. We were far too relaxed about that as well. So the old social contract – the one which said, if you work hard, you will do well for yourself, have security at work and be able to provide stability for your family – has broken down. The Conservative answer is to exploit people’s fears but to do nothing to solve the problem. In fact this Government is making matters worse. VAT rises, cuts in Child Benefit and higher tuition fees. The Government is not simply cutting the deficit, but privatising it. The way it is cutting the deficit loads more and more of the financial burden onto those who are already struggling. The truth is that we cannot create a society that is equal to the aspirations of the British people in a world of wide and growing inequalities – a world in which there are bailouts for bankers and austerity for the rest. We need to get away from the notion – I hear it quite a lot – that we have to choose between supporting aspiration and tackling inequality. It is another false choice. Because the great irony is that one of the biggest barriers to aspiration in this country, and in this time, has been inequality. Not just because I believe that inequality makes us poorer as a society but because when incomes stagnate, people borrow more to keep up. That fuelled the rise in personal debt. So our answer must be different. To construct a new social contract. Because it should be clear to all of us that we cannot move forward as a country simply by getting back to business as usual as if the financial crisis never happened. Indeed, the lessons of this have still not been properly absorbed. In power after 1997 we did something that few countries managed to do – stem the rising tide of inequality. We did this by redistributing through the tax and benefit system. Leading to cuts in child poverty. This was a significant achievement. But having the courage to change means facing up to the limitations of this approach. Asking more of our economy, good jobs and wages, means asking less of the state. At times, we hung on to a picture of Britain in which people were either poor, and desperately in need of our help, or affluent, aspirational, and doing okay. We failed to understand that for millions of people in the middle, life was becoming more and more difficult. In the future the Labour offer to aspirational voters must be that we will address the new inequality by hard wiring fairness into the economy. This is not the easy path. But it is the right one. Because people want more from us. We know some of the things which will make a difference. Proper reform of finance, so it works for the wider economy. Responsibility at the top, and at the bottom. This is the path I see for us. People want an economy with fairness and social responsibility built-in. But we are only going to get that by thinking radically and building a better capitalism – one that is true to our values as a country. Building a stronger, fairer economy is vital to our second challenge – the kind of country we leave to the next generation. This is what I call the promise of Britain. Ask any parent what they want for their children and they will say the same-to have better chances than they had. But ask people today-and the gap between that aspiration and the reality is wider than it’s probably ever been. People just don’t know how their kids are going to get on. How they are going to afford the rising cost of a university education. How they are going to get their feet on the housing ladder. How they are going to finds jobs that provide security and opportunity. I saw it too as I went round during the local elections. I saw it in the eyes of the grandparents I met in Leicester. I saw it in the faces of the students at De Montfort University where Nick Clegg had made false promises a year earlier. I heard it from parents the length and breadth of the country. It didn’t start under this government. But they have made it worse. They seem to accept it as inevitable. Because they make the deficit both the judge and the jury of what is right, they have made short-term choices, posing as long-term ones. On Education Maintenance Allowances, tuition fees, on all the issues that matter. People want more from us. People want more from our politics. That equality is not just a concern within generations. It is about what happens between generations. That the easy path is to take short-term decisions which don’t properly understand the importance of this issue. And if we really do care about the next generation, we will have to show it in the decisions we make-from housing to the environment, from education to the kind of economy we create. It goes to the heart of what Maurice Glasman calls Blue Labour. Some have presented this as a nostalgic vision of the past. The Labour equivalent of warm beer, leather on willow and bicycling maidens. I think this is to wholly misunderstand what this is about. It starts from what we see in our country. A sense of people being buffeted by storm winds blowing through their lives. A fear of being overpowered by commercial and bureaucratic forces beyond our control. And a yearning for the institutions and relationships we cherish most to be respected and protected. You see it in the concerns people have about what is happening to their local high street, post office and pub. The sense of loss in Birmingham from the takeover of Cadbury’s. The football supporters fed up with billionaires who see their clubs simply as financial assets. The campaign to stop the Port of Dover being sold off to the highest bidder. The justifiable suspicions people have about the Government’s real agenda on the NHS. We can’t save every pub. We don’t want to preserve every high street in aspic. And we can’t stop the takeover of all British companies. But let’s face it: our apparent indifference to some of these issues told people a lot about us. It made us seem like remote technocrats who defended the market even when people wanted protection against it. And it spoke to a deeper sense about us. 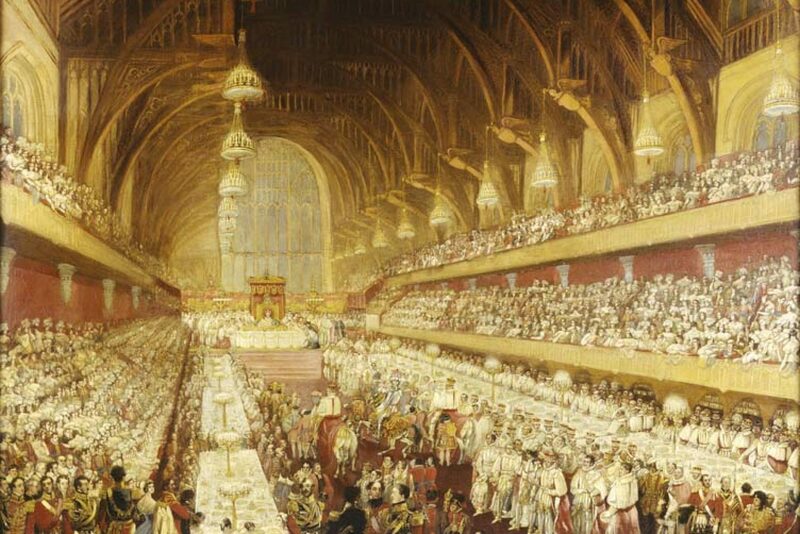 Were we really people who cared about or defended traditional British institutions? Of course, the record of these Conservatives is already far worse. At times they show an almost Maoist contempt for any institution that doesn’t conform to their ideological beliefs. In their case that everything can be turned into a commodity and sold to the highest bidder. That’s why they tried to sell off our ancient forests. It’s why David Willetts saw nothing wrong with the suggestion that the wealthy should be able to buy their way into university. What does this mean for us, for our future? It means showing we are people who understand the value of things beyond the bottom line. We do want local people to have more of a say about local retail development. Because sometimes another local supermarket chain isn’t what people want. We do celebrate and value institutions like the BBC and the NHS. So these are the three deep challenges Labour’s national mission must address. How we can enable everyone to get on. How we can protect and enhance the British promise for the next generation. And how we preserve the things people value. Let me end with this thought about the journey we are on together. There is a prevailing idea that this is a Conservative country. That there is little we can do apart from accommodate to that fact. I think the people who believe that are wrong. Not just because the majority of people at the last election voted for parties other than the Conservative party. But because I know that voters want something more than this government can provide. Just as we should not accept a politics of pessimism for our country, so we shouldn’t for our party either. But to deliver that better, optimistic politics requires ambition for our future, for what our politics can achieve. We could accept a politics of decline and pessimism. But we cannot let the Conservatives pessimism stunt our ambition for our country or our party. I say: we have always been at our best when we have lifted our horizons and acted on our desire to make Britain better and stronger. We reject the defeatist mantra that “there is no alternative”. We can create a fair society in which wealth and opportunity go to those who deserve them. We can build an economy that reflects the best of our values as a country. We can secure for our children the opportunity to lead more prosperous and fulfilling lives. We can have the confidence to stand up for the things we really love about Britain. Because the public want more from us. The public want more from our politics.